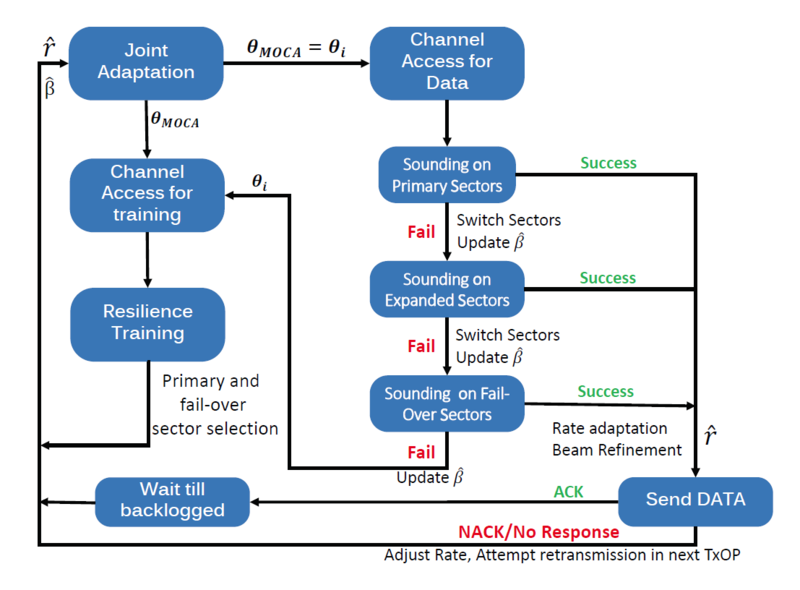 We proposed “MOCA”, a protocol for Mobility resilience and Overhead Constrained Adaptation for directional 60 GHz links. Since mobility-induced link blockage and misalignment cannot be countered with data rate adaptation alone, we introduce a rapid probing mechanism before each data transmission to identify and adapt to link impairments, and devise proactive mechanisms to restore broken directional links with low overhead. 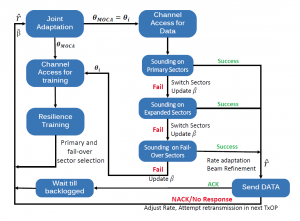 Moreover, we design a mechanism to jointly adapt beamwidth and data rate, targeting throughput maximization that incorporates data rate, overhead for beam alignment, and mobility resilience. We also implemented a programmable node and testbed using software defined radios with commercial 60 GHz transceivers, and conducted an extensive over-the-air measurement study to collect channel traces for various environments. Based on trace based emulations and the IEEE 802.11ad channel model, we evaluated MOCA under a variety of propagation environments and mobility scenarios. Our experimental and simulation results demonstrates that MOCA achieves up to 2 throughput gains compared to a baseline WLAN scheme in a diverse set of operational conditions. 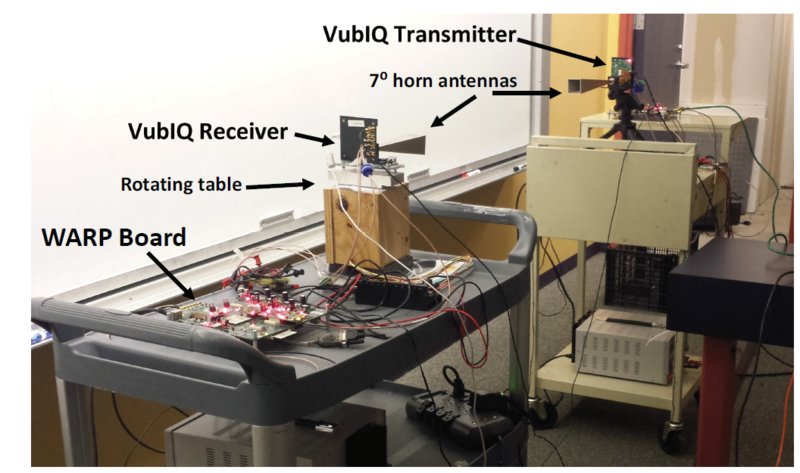 M. Haider and E. Knightly, “Mobility Resilience and Overhead Constrained Adaptation in Directional 60 GHz WLANs: Protocol Design and System Implementation,” in Proceedings of ACM MobiHoc 2016,Paderborn, Germany, July 2016.